Large reliable sedan with leather seats, FWD or AWD, under $22K, under 35K miles, more reliable than my DTS or the E350 I had before it. the road is good for me. I also need a little bit of customer cache (not necessarily a luxury brand). I absolutely can't stand the repair costs and reliability issues I've had with my Cadillac DTS, or my MB E 350 before it. 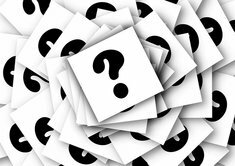 There are obvious choices looking at used Luxury cars from makes like Mercedes, Lexus LS and Infiniti, but at $22k, you are looking at a high mileage examples that may start needing expensive maintenance. 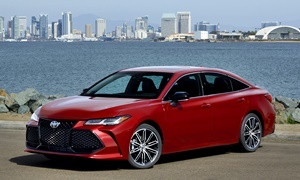 Thinking outside of the luxury brand box, my mind immediately goes to the Toyota Avalon. They are sort of the best kept secret of the full size car segment. They are basically a Lexus sedan with Toyota badging. Classic old school big sedan feel and good power and luxury features. Toyota reliability. Basically a Japanese Buick. 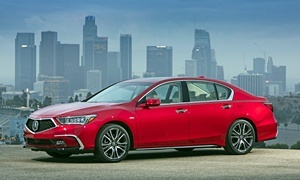 You might be able to find and Acura RLX in your budget, but you will be looking at 50+k miles on the odometer. Still, these tend to be very reliable and a bit less expensive than a large Lexus while still carrying the prestige of a luxury make. Something else outside of the box would be a Hyundai Genesis sedan. 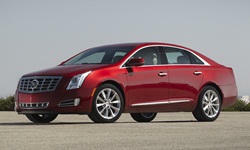 The 2012 and up models are large luxury sedans designed to compete against Lexus. Recently, Hyundai has since spun them off as their own brand. 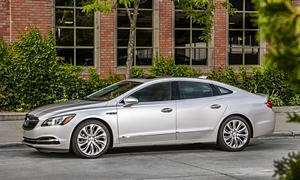 The Buick LaCrosse will be the bargain with AWD and v6. 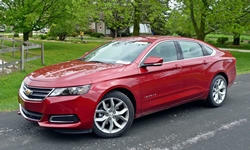 Or go 2.4l 4-cylinder in the Impala or the LaCrosse for up to 40 mpg. my M ok m sees 24 mpg with no highway. 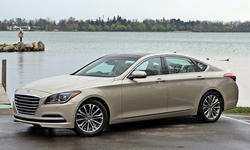 I just did test drives of the Buick LaCrosse and Toyota Avalon. I currently drive a Lincoln Town Car. Comfort and smooth ride count more for me than handling. The LaCrosse was the winner, all around, no question. The ride was superb, the interior nicely appointed and the features were outstanding. The Avalon was a shocking disappointment. The ride was not as smooth, it was just "OK" The interior was very plain, more like an entry-level Camry. We were not impressed. The salesman's jaw dropped when I told him my 13 year-old Lincoln was a better ride. Given that the Avalon was priced higher, it just added insult to injury. Next on my list is the Impala. I like the fact that it has many features in common with the LaCrosse, along with a much larger trunk.